The fittings for the ends of the TS-101L filters are not included. Unscrew the fittings from your old filter and screw them into the new filter. The fittings should be for 1/4-inch NPT connections. The Pentek TS-101L works great as an inline filter for water dispensers and icemakers. The Pentek TS-101L is injection molded and pressure is rated to 125 psi. All inline filters include a prefilter and postfilter. 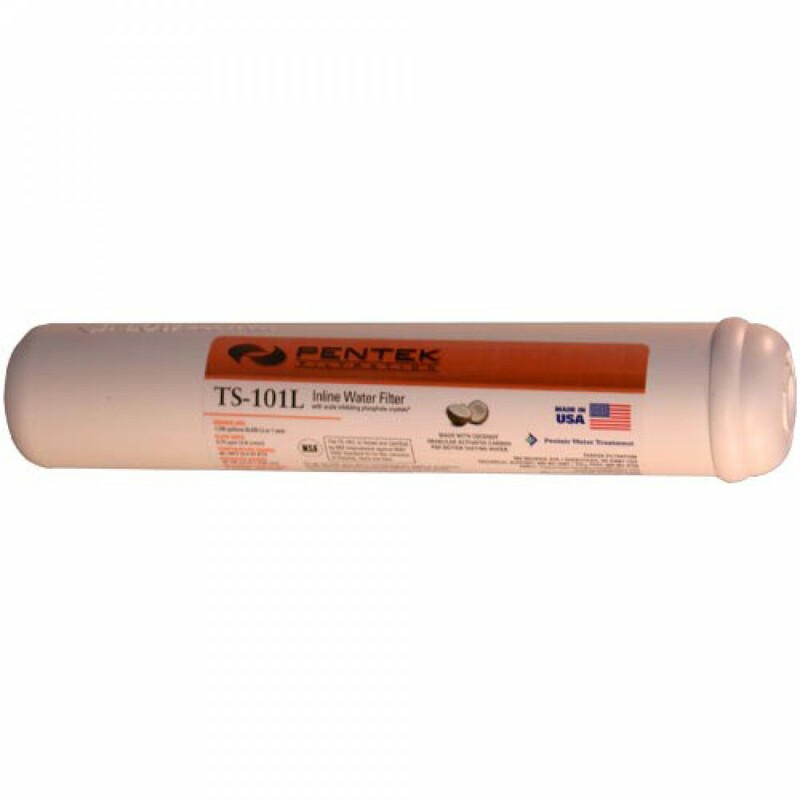 The Pentek TS-101L inline filter is an ideal choice for post-RO, undersink, icemaker, and food service applications. The Pentek TS-101L inline water filter contains a combination of GAC and polyphosphate crystals to inhibit lime and scale buildup. Mount the Pentek TS-101L inline filter with the IC-MB inline mounting bracket. If you do not need to inhibit lime and scale buildup, consider purchasing the Pentek IC-101L inline filter.